Has anyone picked up the similarities portrayed between Clara and Dora? It reminds me of the old saying "you always choose someone like your parents" I guess Freud would have a lot to say on this! "I drew my mother - to the life - in my depiction of Mrs Nickleby in Nicholas Nickleby, but she (my mother), of course, did not recognise the likeness. Dora is based on an idealised version of aspects of my first love, Maria Beadnell, whom I later satirised as the fat, silly, middle-aged Flora Finching in Little Dorrit. Many ''originals'' have been proposed for characters in my books, and it is certainly true that I drew on observations from life in creating every one of my characters. 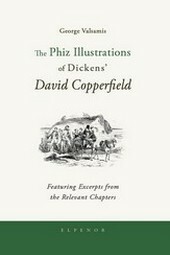 Some - like Miss Mowcher in David Copperfield - are perhaps too close to their real life prototypes for comfort, but most are distinctive as fictional personages in their own right, simultaneously unique and typical of particular aspects of human characteristics. Another mystery e-mail address! Seriously, I would write and ask these people what they are talking about if I could find them. What similarities between Dora and David's mother? Also, which character(s) in the book resembled Charles' Dickens' mother, and who if anyone in his life did Clara represent? I have a vague idea that the character, there being one, who was modelled after his mother was not Clara and may not actually have been an attractive person. I thought Clara was his ideal woman or something. Now - was DORA?!!! Well... so far.... rolling on the floor laughing... But I'd really like to know if there is anything to it. By the way - does anyone suppose that supporters of Dora are constitutionally likely to hide their e-mail addresses? This could actually pertain to what my parents could have seen in her... But it is still a complete mystery to me what that is. One thing that stands out as a similarity between Dora and David's mother is that both of them were sort of thoughtless in household matters and needed to be taught. They are different in that David's mother seemed to want to learn how to keep house more than Dora. I never thought his mom was his ideal woman. She was too materialistic and petty. I definately would not consider myself as a supporter of Dora, I was stunned when he actually married her. I thought for sure it would drag out until he saw that Agnes was the girl for him. However, as the novel went on, I guess I felt sorry for the girl and liked Dora inspite of her...argh...being Dora. I liked Dora because she was sweet, kind and loving, despite the fact that she was kinda useless in the house. I wanted him to go for Agnes as well though but I still kinda liked Dora-and villandra my e-mail address is [email protected] I hide it because of all the spammers around but you're welcome to argue about Dora with me. As for similarities between Dora and his mother-there are some, but Dora was a sweeter, meeker person than his mother-who was kinda overconcious of her good looks.